Pets ads in Bunbury. Thank you for visiting our free advertising website Pets, Bunbury section. We provide high response free classifieds and free advertisement. Use our online free Pets classifieds placement system to find, list, offer Pets online! Offering this flight cage which is in excellent condition. 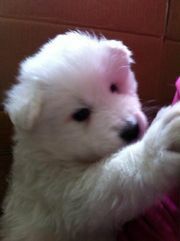 It measures 59 cm long by 42 cm wide and 40 cm high..
Gorgeous Male and Female Samoyed Puppies Available..
handsome Samoyed that we have breed our self he has a very soft nature I own both his mum and dad he has been proven and has sired a litter of 9 pups he's very gentle with the lady's he is 2 and Haifa years old he has champion blood line in his own father the price is for 2 makings a day or 2 apart your more than welcome to come to me or we can travel to you for extra travel expenses if mating is not a success then free mating will be offered on your girls next season for more information please get in touch regards. Gouldian finches for sale. Purple front $50 a pair. White front $60 a pair. Yellow backs $60 a pair. Phone 97958176..
Gorgeous Teacup Pomeranian Pups male and female, AKC registered. Parents are family pets; both mom and dad are 4 lbs. All are loving, friendly and very playful..
free rooster free x bantum rooster. free rooster free x bantum rooster free rooster free x bantum rooster free rooster free x bantum rooster. free rooster free x bantum rooster free rooster free x bantum rooster. Staffy cross male 12wks old. Sold pups from same litter $250 will let go for $100 to good home only. Genuine enquiries only. Can view parents. Will make great family pet and good guard dog. 0467014220 any time. For sale 11 months old male Siberian husky wormed and vaccinated great temperament loves kids and other animals has one blue eye and one brown eye $350 neg. WE HAVE SOME BABY ZEBRA FINCHES FOR SALE MUST SELL IN PAIRS CALL 97272391 OR 0420516579. Baby rats ready next weeks, bck and white , cream and white , cream and white , grey and white very freindly , never bitten , clean well looked after 6 males and 6 females ..
hand raised wieros for sale!!!! hand raised wieros for sale $100.00each 1 is 10 weeks old, grey with yellow head 1 is 8 weeks old, pale lemon. ORNATE BIRDCAGE ON STAND WITH WHEELS, SUITABLE FOR SMALL - MEDIUM BIRDS..
2x bull terrier puppies for sale 1x pure white male 1x white female with brindle ear, both are pure breed no papers can view both parents . will be vaccinated, wormed and flea treated.PH 0429633338. Golden Retriever X Kelpie Female puppy. Born on 5 November 2012. Had lots of children attention. Please call if you are interested..
Cocker Spaniel puppies for sale, pure breed no papers, View both parents, beautiful natured, Born on the 20th October 2012, 6 female, 4 male, many colours to choose from, vax, vet checked, wormed and flee treated, Looking for only good homes for my babies, Ready now, be quick, Call chrissy any. 3 X FEMALE, 2 X MALE, BOTH PARENTS HAVE PAPERS. VACC, VET CHECKED. READY TO GO 26/10/12. BEAUTIFUL PUPS, CAN EMAIL PICS ON REQUEST. PH 0407 089 994. Prev housed weiro. comes with accessories. Bought $100 sell $50. 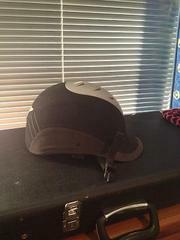 Good condition..
Dublin horse riding helmet. Size 58, in good condition only worn for about a month. Has a few scratches on front, but good as new. Can post to you, please text or email. WANTED: Kittens that are free for a good home. I am looking for a kitten that will be free, I love pets and the house I live in is a good home that also has another cat (rag doll) and a small dog. If anyone in the Bunbury area has a kitten that is free to a good home, please contact me..
2 TOY POODLE BLACK PUPS FOR SALE READY IN 2 TO 4 WEEKS TIME 650 PHONE ROZ 0411291837. Albert is four years old. He needs a mate. He isnt happy with me I dont supply what he needs. Free to good home..
male pig for sale. urgent sale. 3 month old male pig for sale $150 ono. 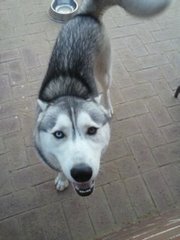 call Emma 08 97956807 Lovely pet or eat him up for christmas!. For sale are 4 Female english Staffy pups. 3 Tan with varying degrees of white patches and grey spots and 1 Black/brindle. will be vet checked, vacinated and ready for sale on 7th November 2011. Both mum and dad can be seen when viewing pups. Phone 0402026462 and leave message If needed more. Kelpie Cross Puppies. Potentially good working dogs. 6 weeks old. Black and white. Two female and two male. In good condition..
Golden Labrador Puppies born 28-07-2011. Will be fully vet checked, vaccinated and wormed. Meet both Mum and Dad. Been handled by children since birth..
8wks old. 2F & 3M pups. Excellent temperament and great with kids. $550ea..
chihuahua male intact tan and white 2 years old great disposition very friendly loves kids needs home where he is king $450.00 ONLY TO GOOD HOME.ph 0450552743 email.sallyscats@hotmail.com. Owner moving away for work, wants to find a good new home for 6 month old tortoiseshell female kitten. Not fixed yet, will be soon; if new home found beforehand, will pay to have her fixed. Kitten is friendly and playful. Labrador pure, Male, Black, 8 months, NOT steralized, vaccinated upto date, micro-chipped very friendly and loving, knows basic traing. regretable sale. please call brendan on 0423198048..
We supply live Red Asian Arowana, jardini Arowana, Chili Red, Golden Arowana and others etc… Each equiped with chip & certificate to comply with CITES We, Brand Arowana start in 1980 as an arowana hobbyist. We grow into one of the best arowana’s brand, well known in International market . We. Australia free ads for Pets, Bunbury, Pets free ads Bunbury, Pets for sale Bunbury, Pets to buy in Bunbury. Find on this page free classifieds for Pets in Bunbury. This listing includes classifieds for sale and to buy in Bunbury. FREEADSAustralia Bunbury offers you a platform to post free advertisements or classifieds for Pets in Bunbury. FREEADSAustralia helps you search, find buy, sell, rent or hire in various categories like apartments, goods for sale, local services, cars , jobs and many more in Bunbury. If you posted an advertisement in category Pets of FREEADSAustralia Bunbury before please use Edit my ads button to change or cancel your ad. Pets Bunbury ads Bunbury, Pets classifieds Bunbury, Pets free ads Bunbury, ads for sale Bunbury, ads to buy Bunbury, FREEADSAustralia. Find here ads for sale, to buy and rent in Bunbury. Goods for sale in Bunbury, vehicles for sale in Bunbury, Bunbury real estate for sale, Bunbury property for sale, property for rent in Bunbury, business ads in Bunbury, Bunbury business classifieds, services in Bunbury, Bunbury services ads, jobs in Bunbury, pets for sale in Bunbury, Bunbury dating, Bunbury cars for sale.